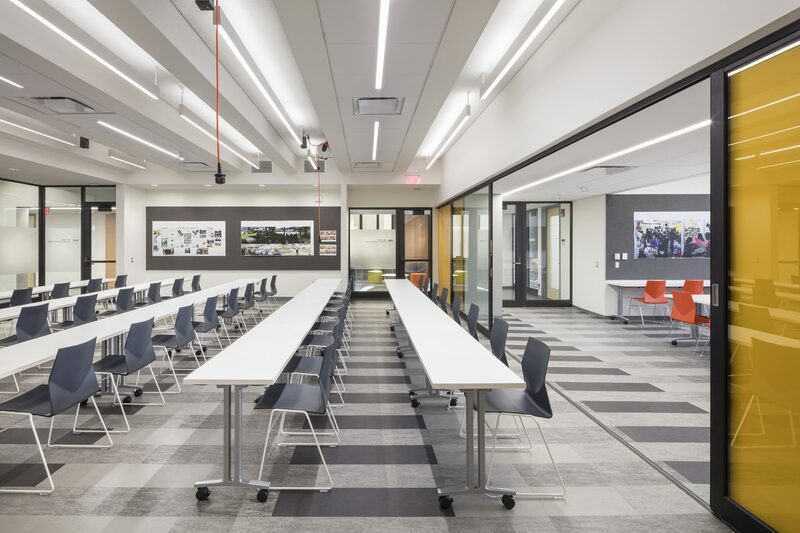 Utile completed renovations to Massachusetts Institute of Technology’s Samuel Tak Lee Building (#9), a 35,000 square foot extensive interior renovation for the MIT Department of Urban Studies & Planning (DUSP). 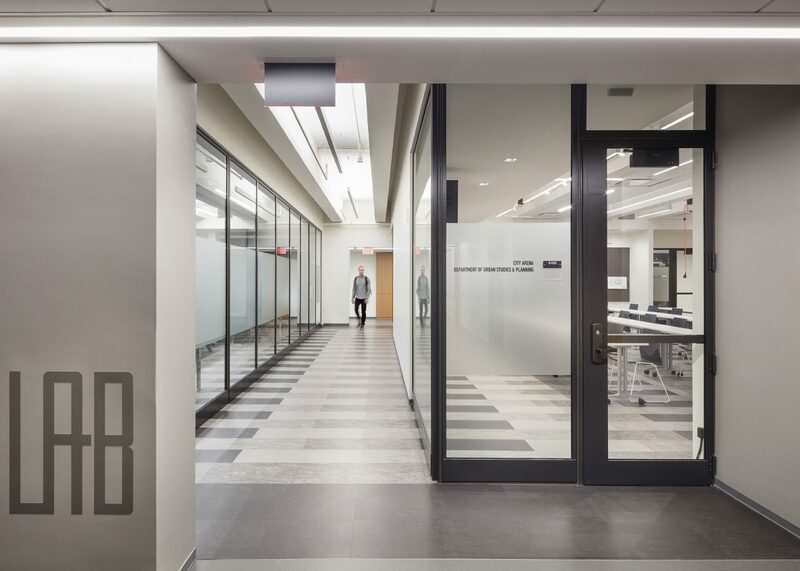 Designed by SOM in the early 1960s, the existing building—predominantly square in plan—has deep, repetitive floorplates with perimeter offices and underutilized meeting spaces that surround a dark classroom core. 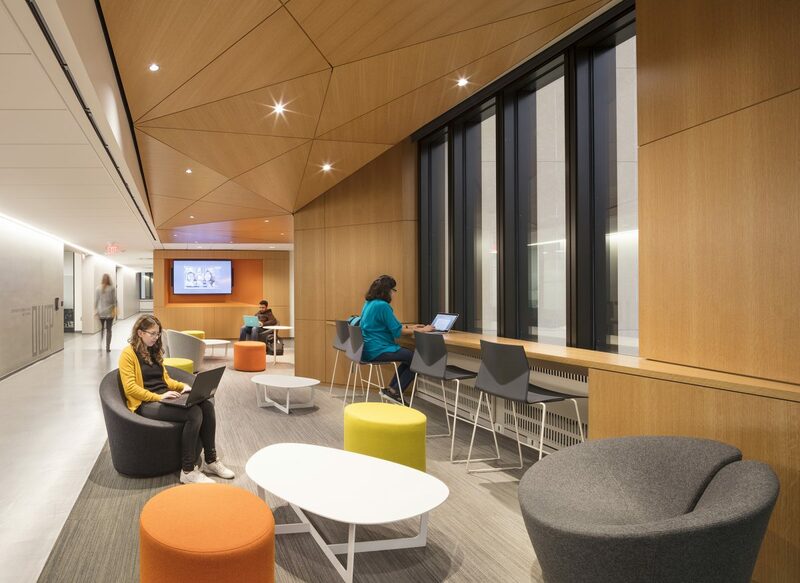 Utile’s challenge was to rethink the existing program to accommodate new collaborative spaces and departmental growth, and equip the users with a variety of flexible rooms and student-oriented spaces that provide the institution with the fluidity it needs to adapt on a semester-by-semester basis. 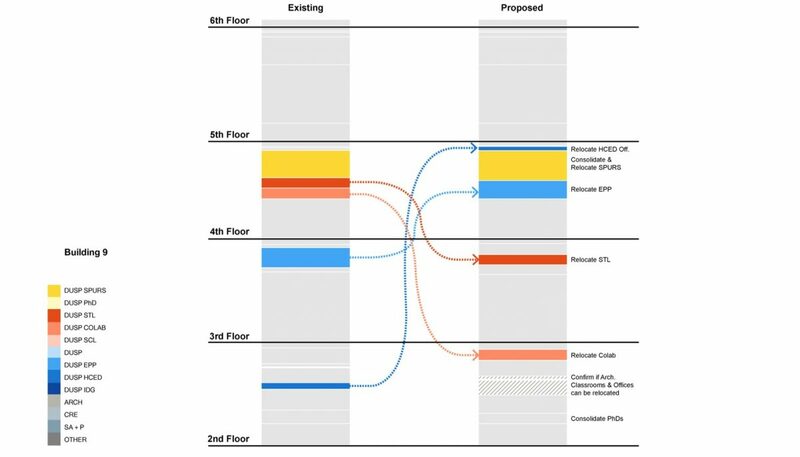 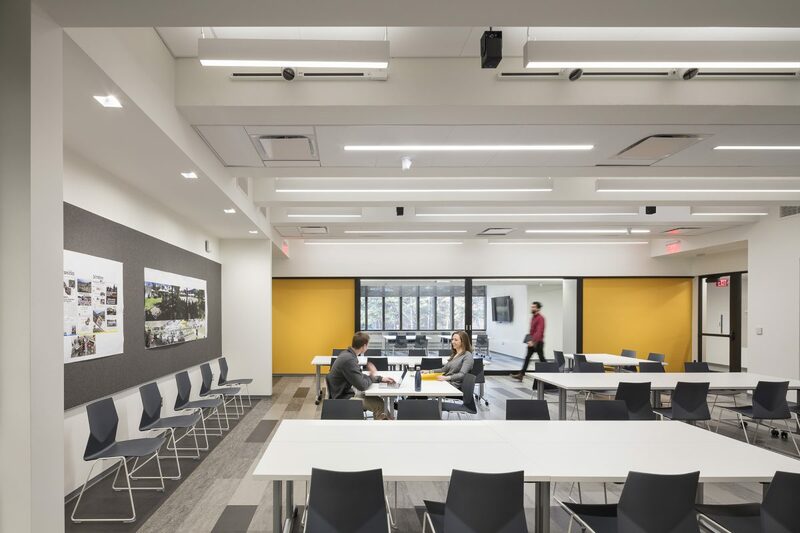 The design team lobbied for an open plan concept with movable partitions and flexible furniture to increase daylight into the building core as well as improve circulation and wayfinding for the department. 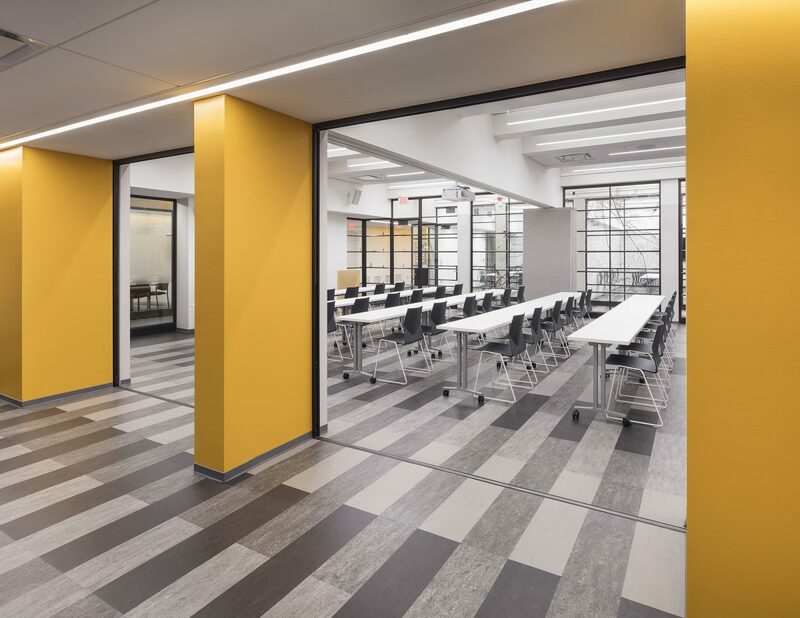 The project also replaces exterior windows on all floors, and includes a full upgrade to the building’s mechanical system. 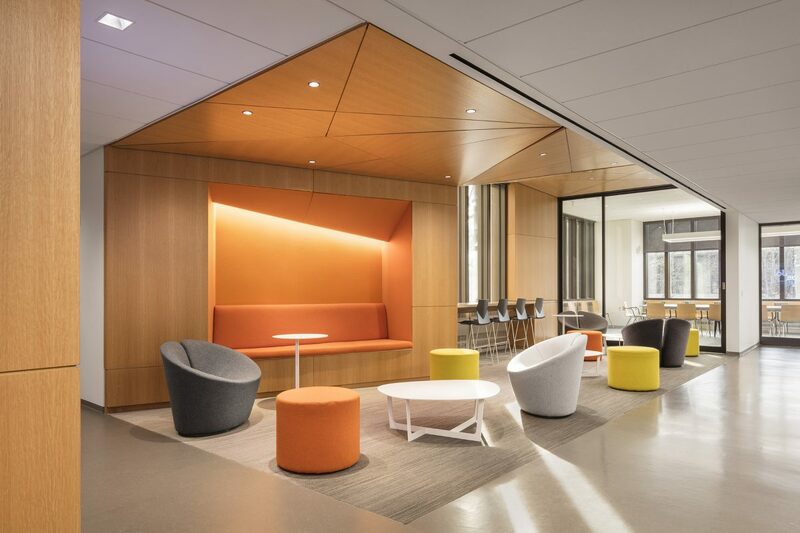 Utile was able to expand upon the design thinking and collaborative process initiated during its 2012 renovation for the MIT Center for Real Estate, located in the same building.